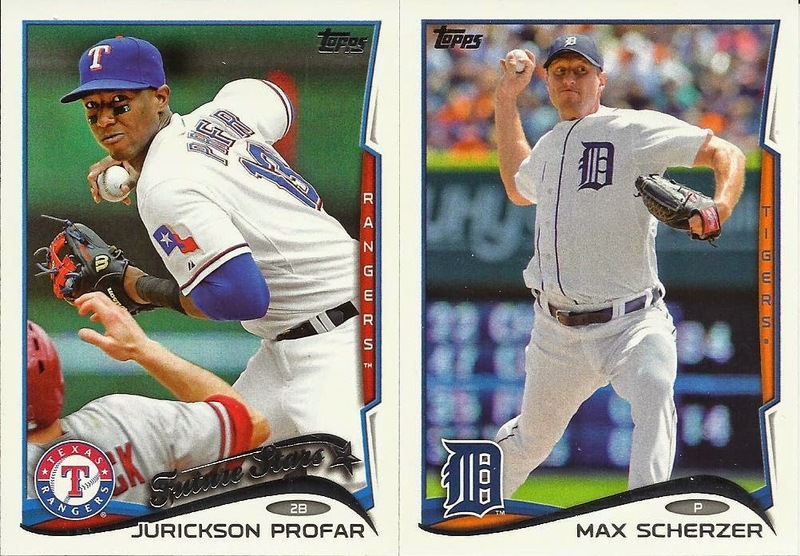 Indians Baseball Cards: #PackADailyCircus - Opening Day! Hey everyone! Welcome to Opening Day for the 2014 Pack-A-Day Giveaway! Before I bust open a pack of cards, let it be known that I am STILL working through the inaugural draft. Note for next season: Find another way to do the first draft! Turns out 20+ rounds of drafting by hand is a bit of a chore. I'm not whining about it. I just want you to know what the hold-up is - manual labor. Our first pack of the season is 2014 Topps Series One - 10 cards per pack. As of right now, I might be able to tell you who owns what cards, I might not. We'll just have to see. Congratulations to the Chonks for grabbing two cards! Congrats to the other managers that scored cards on opening day, too! How did I know if cards were unclaimed? As I am working through the draft, I have open the spreadsheet everyone picked players. I searched for the names. If no one claimed the player, I knew it was a free agent. As for current owners, I pulled the draft to this point from OOTP and searched for each player. Had a player been in the spreadsheet but not drafted yet, I would mark that player as "Claimed but Undrafted." Off and running. Thanks David. 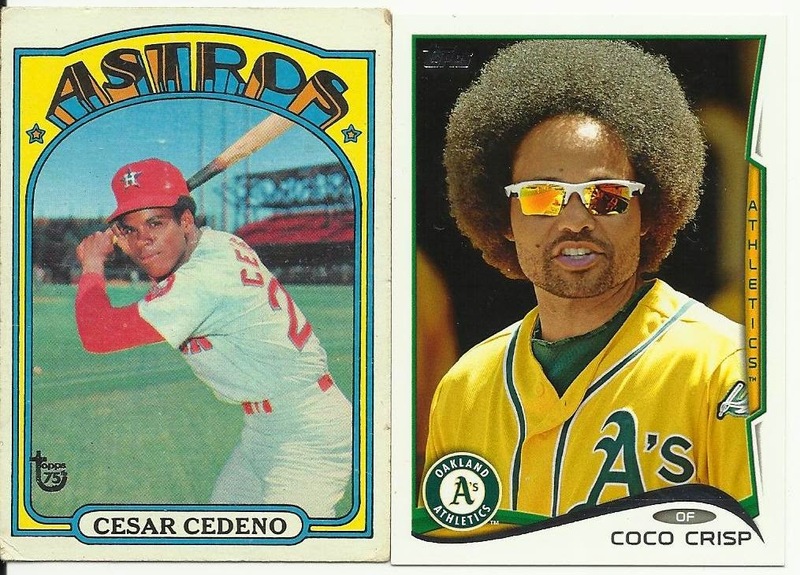 It's too bad no one claimed Cesar Cedeno. That is one sweet piece of cardboard. I'm pretty happy to see that I came away with Max Scherzer. 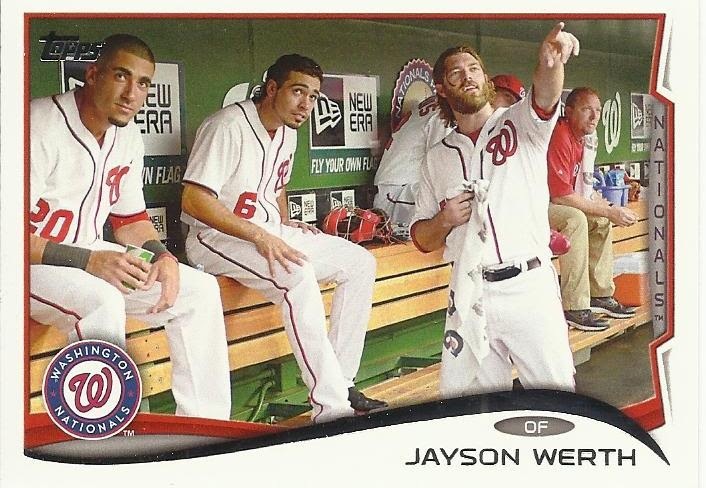 That Jayson Werth card is popular with a lot of people, but Jayson Werth doesn't like it. He thinks he isn't featured as prominently as he should be. Wow, Tillman and Cedeno still available. Should be a good scrap for those guys this weekend!